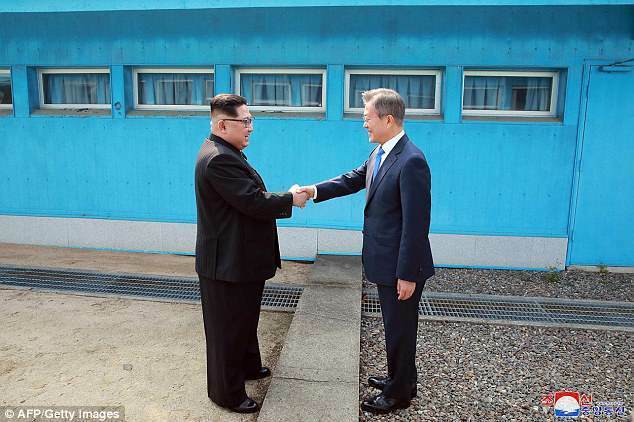 The unexpected sight of South Korean President Moon Jae-in and North Korea’s leader Kim Jong-un crossing the Military Demarcation Line back and forth, hand-in-hand, before their first summit on April 27, 2018, is still fresh in the memory of many Koreans. In signing the Joint Military Agreement in September at the end of the third inter-Korean summit, the two sides agreed to disarm the Joint Security Area, where the two leaders met in April. The demilitarized JSA would be turned into a tour site where unarmed soldiers and tourists would be able to move about freely after the removal of the MDL, it was said. 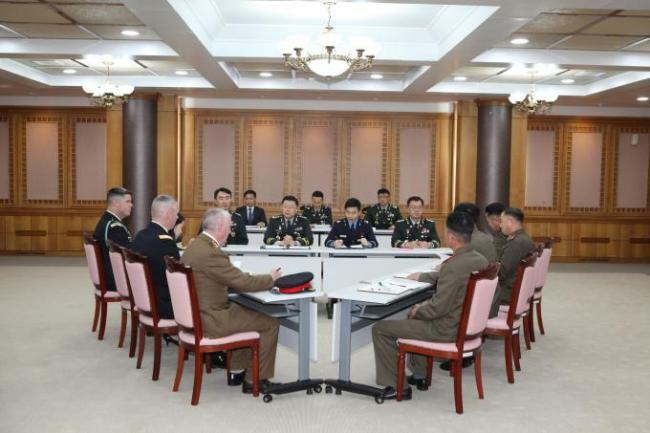 A trilateral consultation group of the militaries of the South and the North and the US-led United Nations Command was quickly formed and vowed to realize the commitments before the end of 2018. Holding three rounds of talks, the trilateral consultation group demolished or disarmed 11 border guard posts on each side, and withdrew all firearms in the JSA. But the plan to remove the MDL appears to have lost traction, with the Defense Ministry saying they are exchanging documents, nearly six months after the signing of the agreement. Since its establishment in 1953, when the Korean Armistice Agreement brought about a cease-fire to the Korean War, the JSA has been a symbol of decades-long military tension while, at the same time, serving as a venue for inter-Korean dialogue. The 800-by-400-meter area was established as a neutral zone under the jurisdiction of the United Nations Command, one of the signatories of the armistice agreement. With the Military Demarcation Line separating the two sides, the JSA was the only area where the soldiers of the South and North, and the US-led UNC could move freely cross the border. Things changed in 1976 after two US soldiers were killed by North Korean soldiers with an ax in a clash over the cutting of a tree inside the JSA. The freedom of movement inside JSA became heavily restricted. Amid the reconciliatory mood created between the two Koreas, the recent military pact sought to transform the JSA into a place for peace, by not only removing the MDL inside it, but also allowing South and North Koreans and foreigners to tour the area from 9 a.m. to 5 p.m. The initial enthusiasm to complete the changes before the end of 2018 is no longer palpable, as the militaries of two Koreas and the UNC have difficulties in narrowing their differences on the operation of the area. Seoul’s Defense Ministry said it was still in discussion by means of exchange of documents. The last trilateral meeting was held Nov. 6, but the ministry would not say when the next meeting would take place. “We are exchanging negotiating documents. But this is not only an agreement between the South and North, but also with the UNC, and it takes some time,” an official from the Defense Ministry told The Korea Herald. 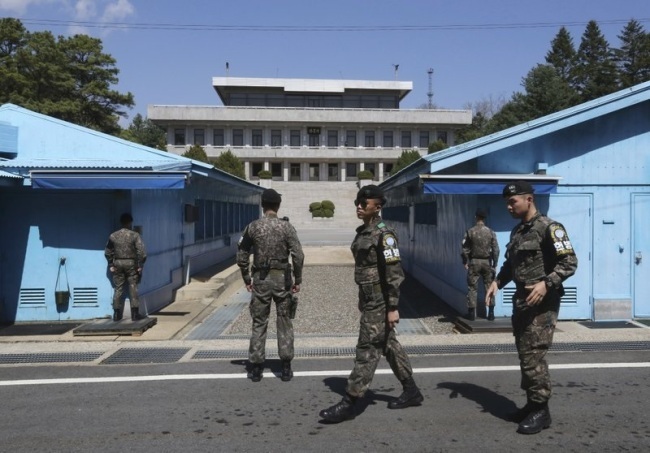 One of the sticking points is who will be in charge of which posts, and how the soldiers would guard the area together as “strange bed fellows,” as no peace treaty to end the Korean War is yet in place, a UNC official told The Korea Herald. There are also differences regarding the operation of the new guard posts, as they are built on different locations from those that were recently removed. The now removed guard posts had been located where they could monitor each other’s movements. The new posts are built so that South Korea’s guard posts are located on the North Korean side of the MDL, while the North’s posts are on the South’s side. Speculations are also rampant that North Korea refuses to include UNC in the negotiation, and that this has delayed the talks, something the South Korean Defense Ministry denies. While there have not been any formal announcements from the North Korean regime on the matter, its state-run media have hinted at North Korea’s dissatisfaction with the involvement of the US-led UNC. North Korea, in the past, had also demanded dissolution of the UNC. The UNC maintains that military-related issues inside the DMZ are subject to its approval. An official from the UNC who would not elaborate on the matter, echoed the Defense Ministry’s point that the trilateral committee, which North Korea approved initially, includes the UNC. While Defense Minister Jeong Kyeong-doo vowed to hold a high-level military talks with Pyongyang by the end of this month, pundits opine that it will be a long time before tourists are allowed to freely cross the MDL in the Joint Security Area. On the other hand, the failure to reach an agreement at the recent summit between the United States and North Korea in Vietnam could paradoxically mean speedy progress can be expected in the military commitments, according to Hong Min, the director of the North Korean research division of the Korea Institute for National Unification. “I believe it would not be too difficult to agree on removing conventional weapons and bringing peace in the JSA, when they are talking about nuclear disarmament,” he added. Concerns remain whether allowing civilian tourists into the JSA is practical. A North Korea expert, who wished to remain anonymous, was skeptical about the idea of allowing civilians in the jointly patrolled area, saying it was a hasty decision by the Moon Administration. A Defense Ministry official also said that a strict set of measures need to be formulated to address emergency situations, such as a defection attempt from the North. In November 2017, a North Korean soldier surnamed Oh was shot and wounded by his comrades, when he crossed the border at JSA to defect to the South. Currently, the public is allowed to visit the area with advance approval but they are restricted from crossing the MDL. “After an agreement is made on how the JSA will be operated without the MDL, a guideline on civilian tourism will also be discussed. But for now, we can only guess what would be on the list,” the UNC official said.